Description: As part of "A Monstrous Centennial: Universal's Legacy of Horror," the Academy of Motion Picture Arts and Sciences presents this double bill of science-fiction, directed by Jack Arnold, Universal Studios' resident expert at monsters and mutants during the 1950s. The Incredible Shrinking Man, based on Richard Matheson's novel, tells the story of what happens to a man after drifting through a radioactive cloud. The irony is that as his size diminishes, his inner strength and resilience grows. With excellent special effects, the film achieves an epic scale - set mostly in a basement, where the title character battles a tarantula. 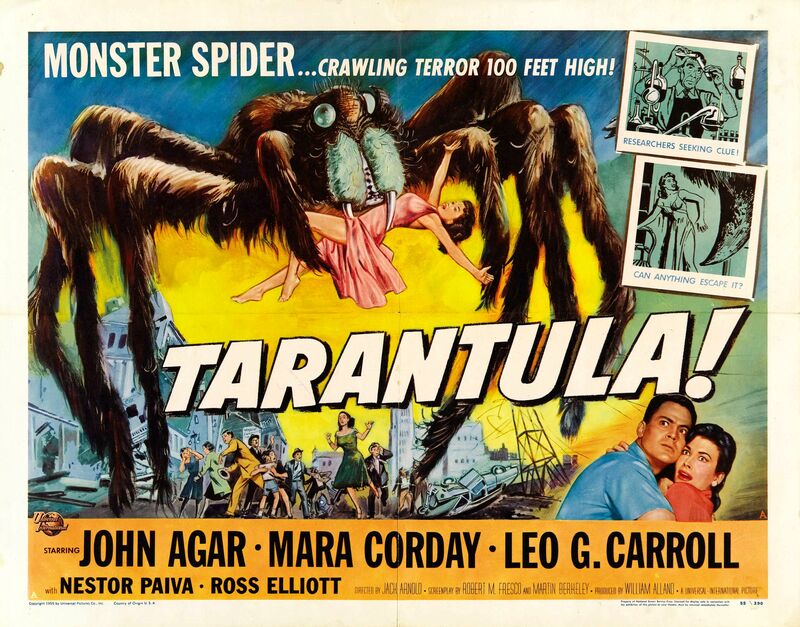 Tarantula (1955) turns the tables: instead of getting smaller, this titular character gets bigger. This one of many giant but movies from the era - usually the result of radiation, although here the cause is a scientific experiment in growing lager food supplies. This is better than most, and it features an early cameo by Clint Eastwood, face hidden behind an oxygen mask, as a fighter pilot called in to fend of the rampaging arachnid. 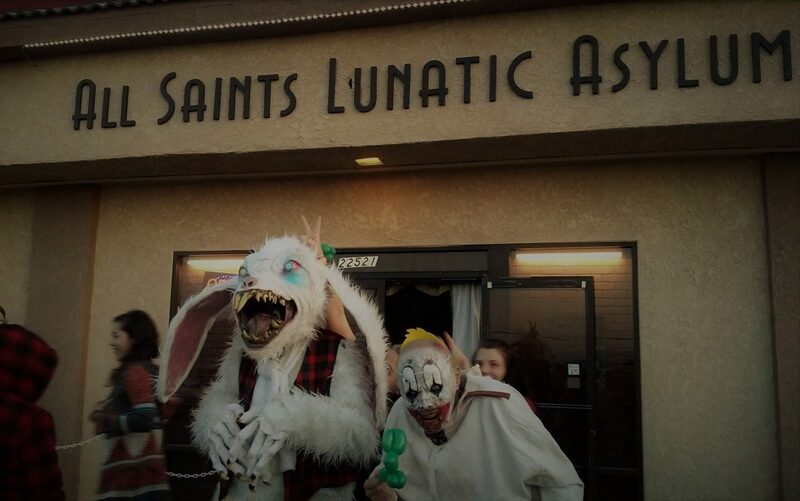 Note: These screenings take place at Oscars Outdoors, in Hollywood, NOT at the Samuel Goldwyin Theatre in Beverly Hills, where AMPAS is presenting its other screenings, along with an exhibition of artwork from Universal Studios horror films. October 13, 2013 Steve Biodrowski Comments Off on Win Tickets to A Nightmare on Elm Street & Scream!